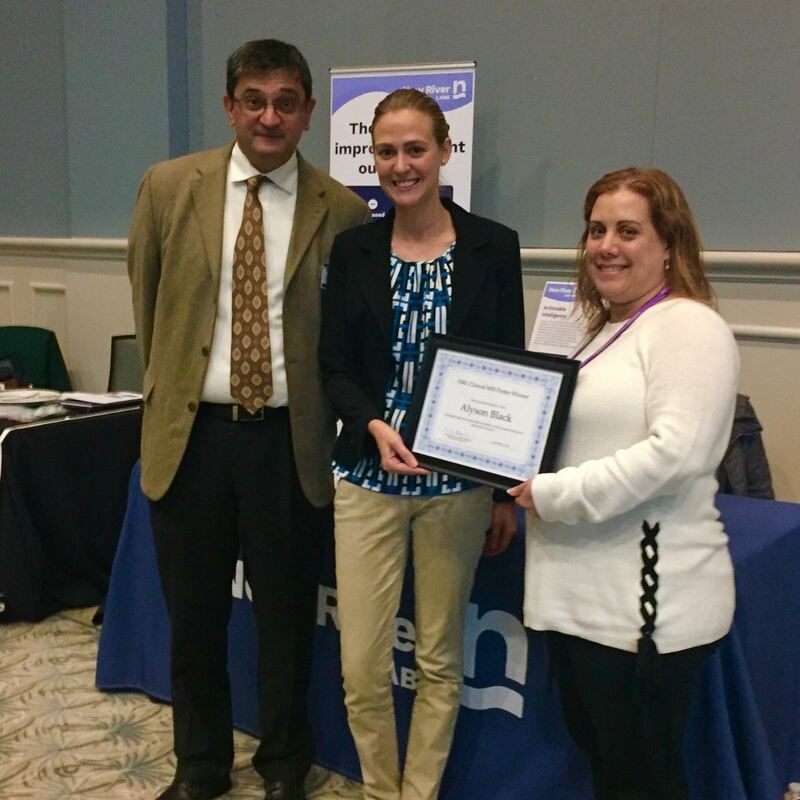 Poster #68 entitled "A Novel Plateform for Multiplexed N-Glycoprotein Cancer Biomarker Discovery from Biological Samples by MALDL Mass Spectrometry Imaging of Antibody Arrays"
Alyson Black receives $2000 from New River Labs. 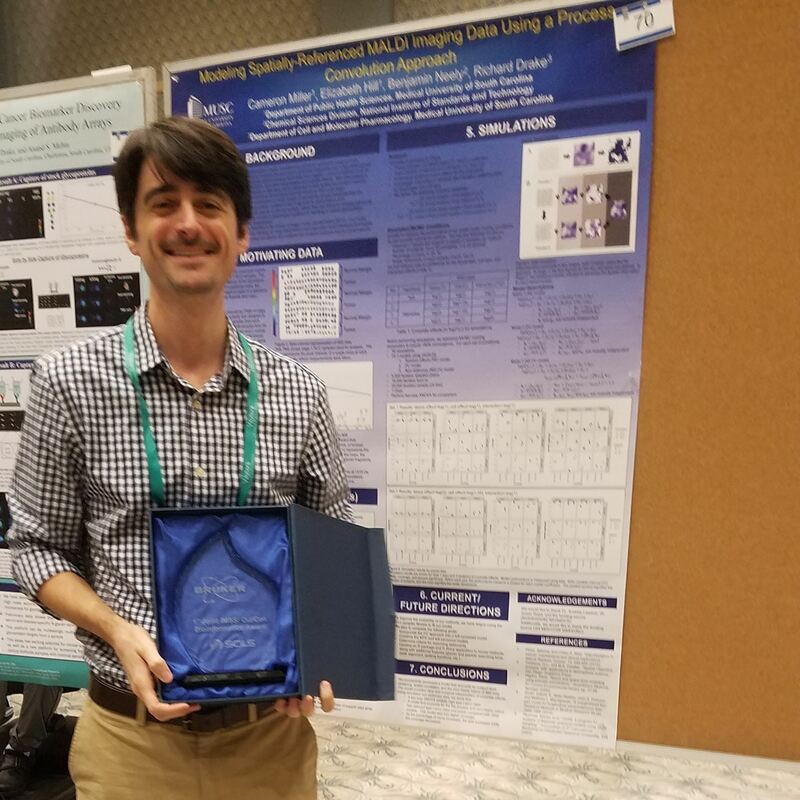 Poster #70, entitled "Modeling Spatially-Referenced MALDI Imaging Data Using a Process Convolution Approach"
Cameron Miller receives #2500 from Bruker. 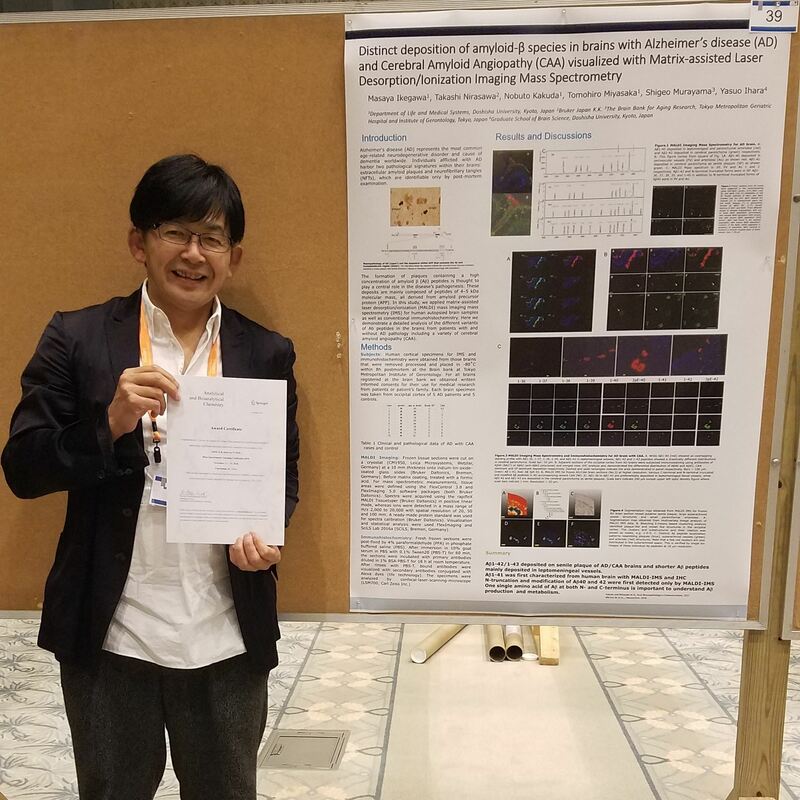 Poster #39 entitled "Distinct deposition of amyloid-β species in brains with Alzheimer’s disease (AD) and Cerebral Amyloid Angiopathy (CAA) visualized with Matrix-assisted Laser Desorption/Ionization Imaging Mass Spectrometry"
Masaya Ikegawa receives €250 in the form of Springer book voucher. 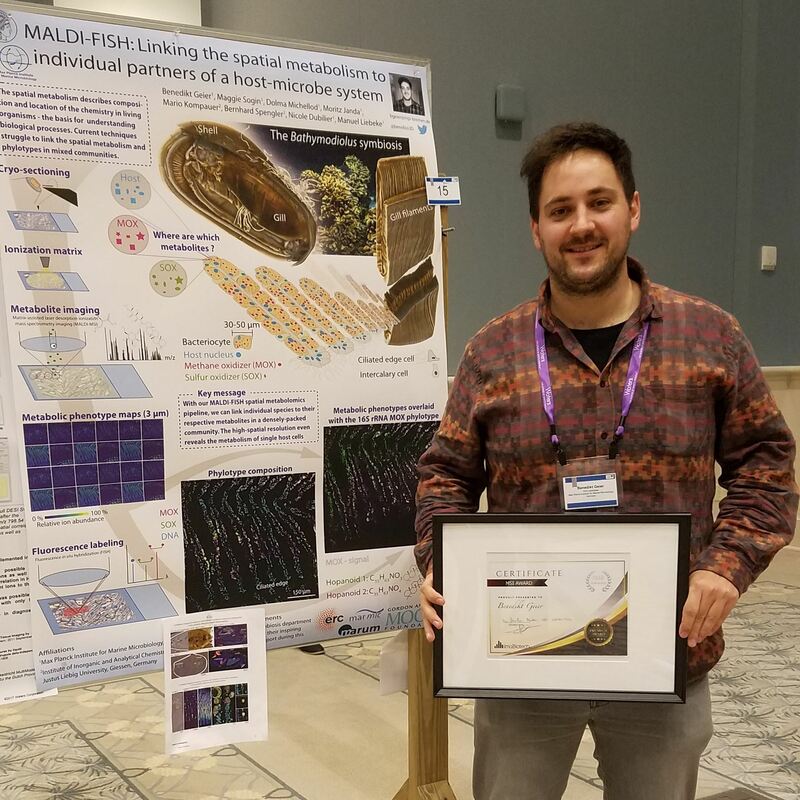 The Imaging Mass Spectrometry Society (IMS²) is a non-profit organization (501c). 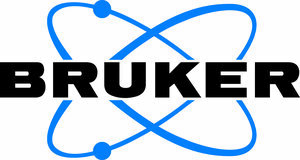 Our mission is dedicated to: 1) promoting the development and application of imaging mass spectrometry (IMS) in all applicable venues including academia, government, and industry, 2) enhancing the IMS community by disseminating best practices and acceptance criteria around the IMS methodology, 3) providing continual IMS educational opportunities, and 4) collaborating with other societies that have similar or related goals. The membership is $50 per year for full membership and $25 per year for student membership. By joining IMS², you are supporting our mission. You will also receive discount at our meetings.